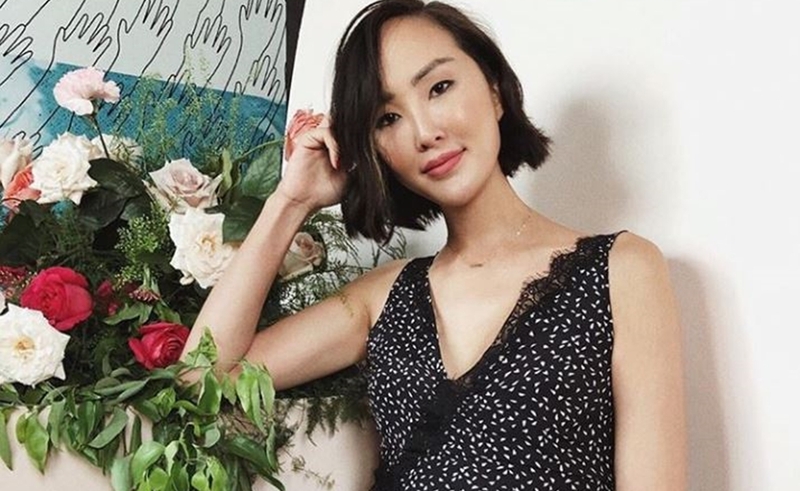 Fashion blogger Chriselle Lim is poised to launch her eponymous clothing label at upscale retailer Nordstrom. Comprising 20 fall staples that can be mixed and matched, The Chriselle Lim Collection will arrive in 40 Nordstrom doors across the country — as well as online — on Sept. 13, according to WWD. Lim is one of the most influential fashion creators in digital media, and has parlayed her popular The Chriselle Factor blog — as well as her 763,000 YouTube subscribers and 1 million Instagram followers — into a branded content production firm dubbed CINC Studios. In March, Lim pacted with the Los Angeles-based brand J.O.A. on her first fashion collaboration, which was vended in Nordstrom stores — though this marks her first solo design outing. The Chriselle Lim Collection features cardigans with asymmetrical buttons, blouses with slightly puffed sleeve, and trench coats — all priced between $59 and $189, and all intended to be worn to the office. “Many of our customers look to influencers for inspiration, and it’s brands like this that allow us to continually bring them newness and a sense of discovery,” Tricia Smith, the EVP of women’s apparel for Nordstrom, told WWD of its partnership with Lim.